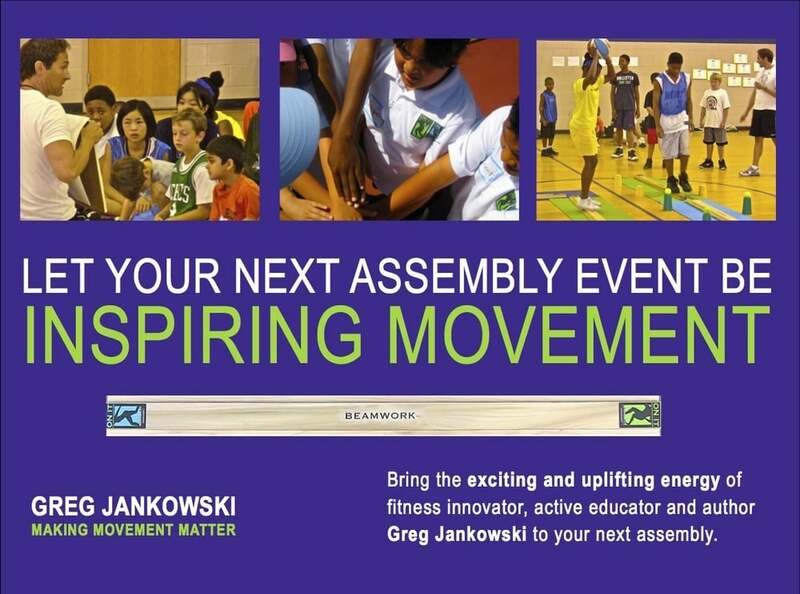 An energizing movement presentation highlighting the importance of moving and being creative with time both work (studies) and play (physical activity) in order to engage both our bodies and minds. Includes full audience and select volunteer participation with emphasis on encouraging an active imagination, setting goals and acting on them. A Movement Motivator with a variety of talents and artistic mediums, Greg is like no other speaker your organization has ever experienced. He shares his inspirational life story while captivating audiences with movement performance art and an understanding the importance of posturing for success with a sound balanced body and mind motivating students to set goals for personal and professional success. This program teaches lessons that will transcend school walls and into your students personal lives.Greg proves that innovative solutions begin with an open imagination and a work ethic which allows for fun! 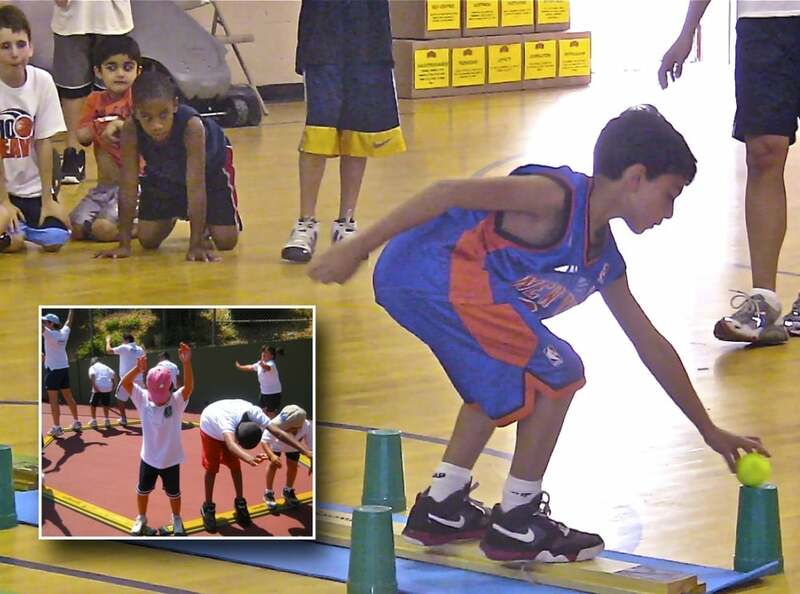 The Balance Professor's Inspiring Movement assembly encourages students to stand tall, walk proud and exercise both their bodies and minds for true success. 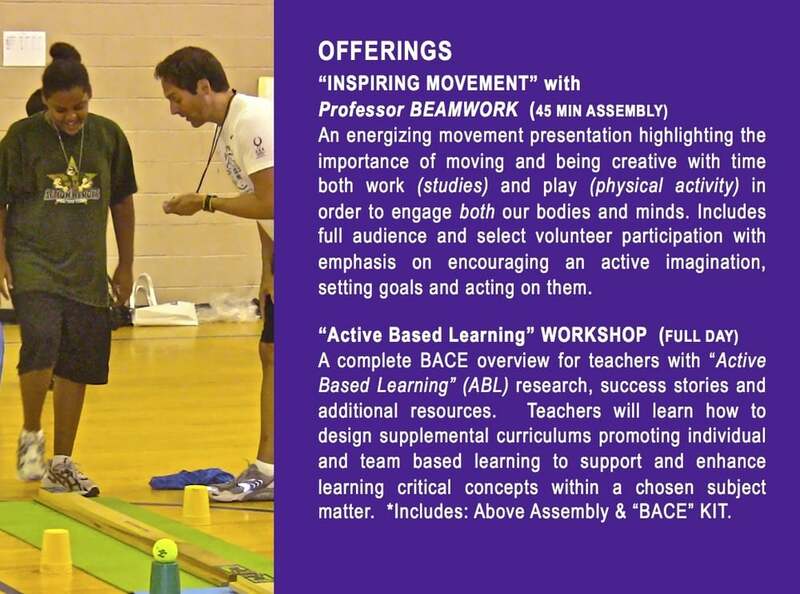 empowering educators to become healthy role models. thinking and problem solving, communication and collaboration.